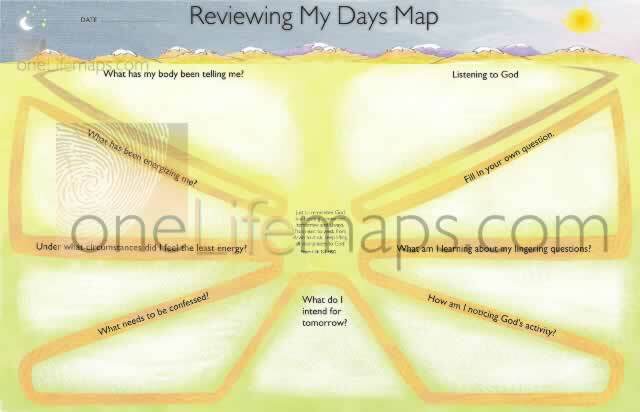 Mapping your life to courageously walk with God into your future. 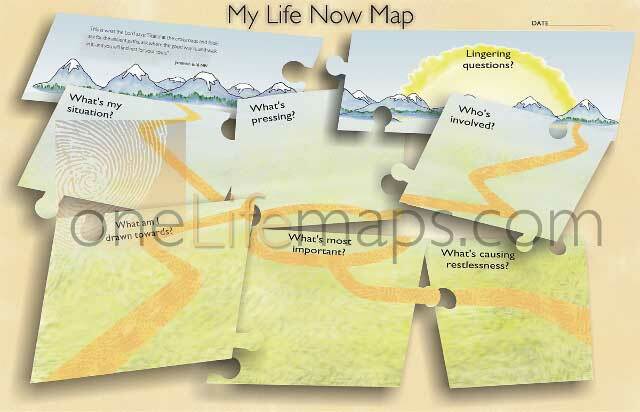 Map Your Life • Recognize God’s Guidance • Respond with Purposeful Action. 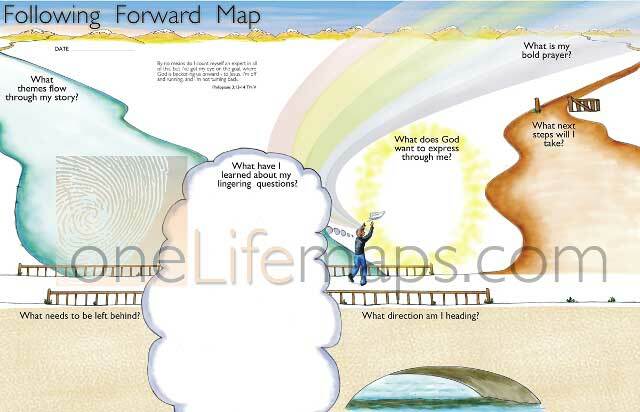 is a unique visual tool that becomes an on-ramp to conversations with yourself, God, and trusted others in reviewing your past, assessing your present and continuing to joyfully and courageously walk with God into your future. The goal is to help you recognize and respond to God in the midst of your story. 8 different 11" x 17" color visual maps with questions to prompt your thoughts and space for documenting your reflections in words, phrases, doodles, or pictures. See all 8 visual maps below. 8 booklets with an introduction, instructions and guided reflections for each visual map in the series. The color visual maps are tucked inside each booklet. 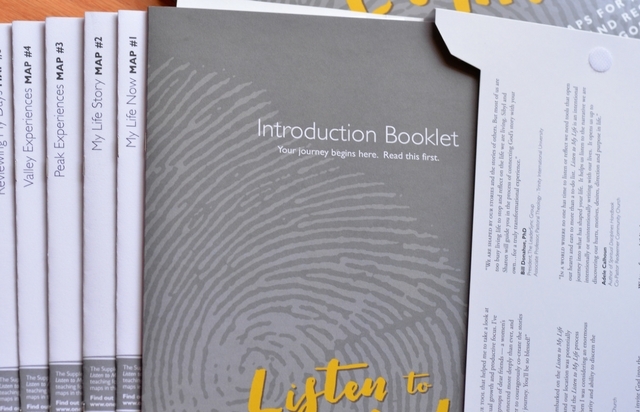 Introduction Booklet includes a description of the Listen to my Life process, Listening Guidelines and an article on 3-Way Listening to help people listen in ways that invite authentic sharing of life stories. Convenient portfolio box to store and carry your booklets and visual maps. 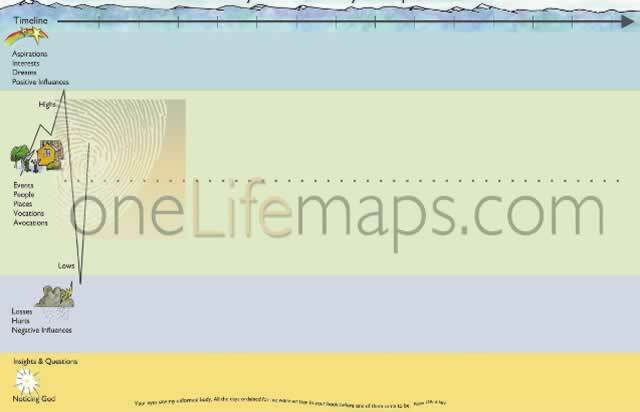 There are 8 visual maps in the LISTEN TO MY LIFE portfolio. Mouse over these images to reveal descriptions of each map. The what, why and for whom of Listen to My Life. A visual map for reflecting on your current circumstances. Booklet contains introduction, instructions color map and reflection questions. Map #1 of 8 in the Listen to My Life portfolio. A visual map for reflecting on your past. Map #2 of 8 in the Listen to My Life portfolio. A visual map for recognizing your unique design. Map #3 of 8 in the Listen to My Life portfolio. A visual map for moving through my hurts. Map #4 of 8 in the Listen to My Life portfolio. 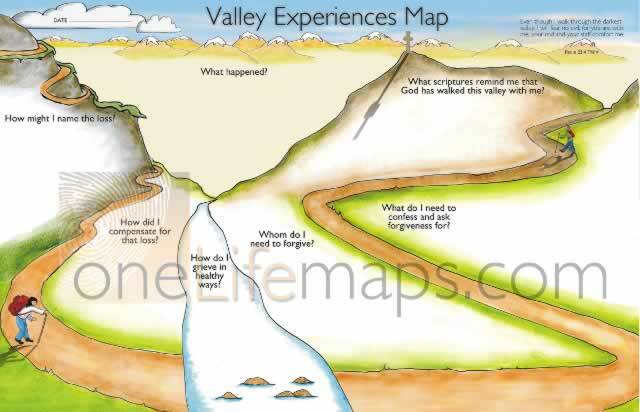 A visual map for God’s activity in your daily life. Map #5 of 8 in the Listen to My Life portfolio. 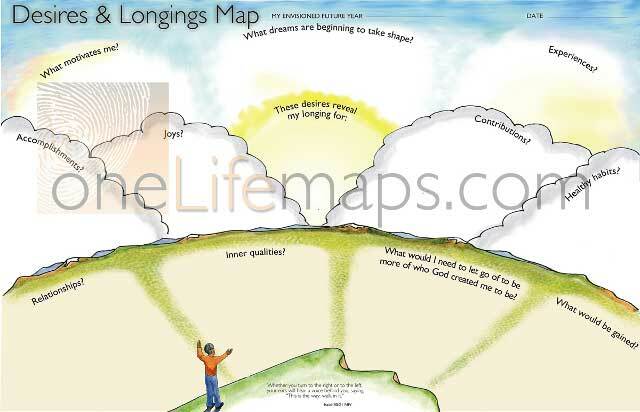 A visual map for envisioning the life that God wants to live through you. Map #6 of 8 in the Listen to My Life portfolio. 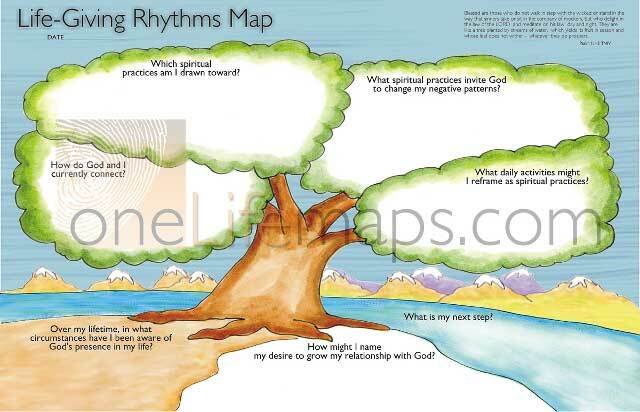 A visual map for staying attuned and responsive to God. Map #7 of 8 in the Listen to My Life portfolio. 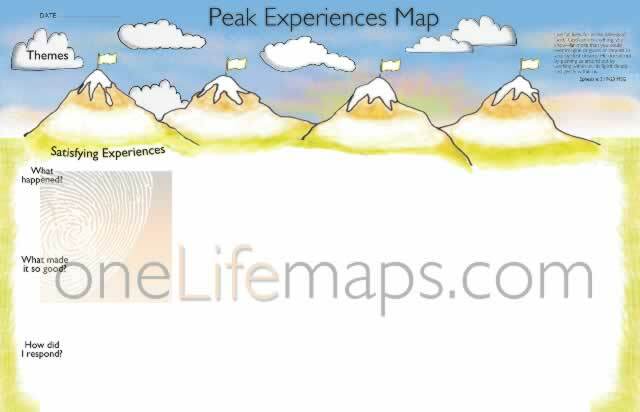 A visual map for summarizing your discoveries from the Listen to My Life Experience. Map #8 of 8 in the Listen to My Life portfolio. you are seeking God in a deeper way and desire to rediscover who you are through His eyes. you stand at a crossroads in life and ask, “Which way will lead me toward more of who I am made to be? you are looking for a way to understand the restlessness that you feel inside. 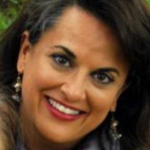 you are relationally at odds with yourself or others in ways that have ties to your past. Record your responses to questions on the color visual maps in words and pictures. 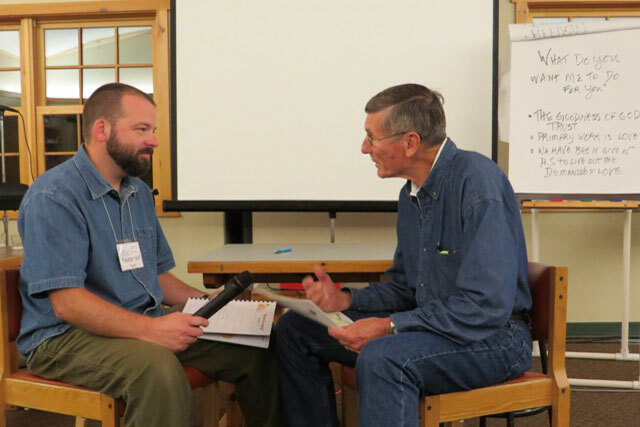 Share your story and listen to others for deeper insights and connections. Engage in the spiritual practices and journaling questions on the ‘Reflections’ page to deepen your experience and gain clarity. In What Settings Can I Use Listen to My Life? Experience Listen to My Life in Community from Wherever You Are! 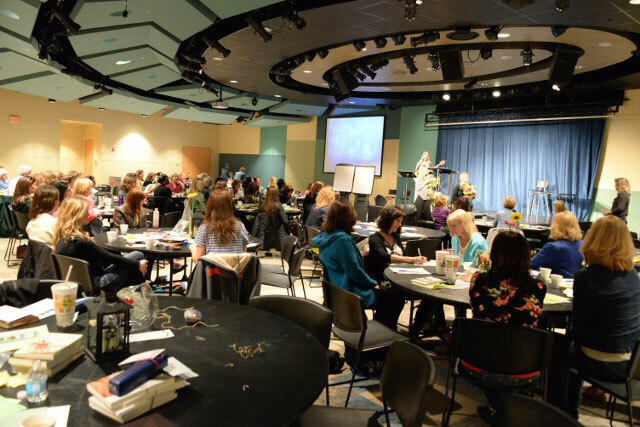 The MAP YOUR LIFE Virual Workshop Experience will use the LISTEN TO MY LIFE: MAPS FOR RECOGNIZING AND RESPONDING TO GOD IN MY STORY materials as its core workbook and text. LISTEN TO MY LIFE is a unique visual tool that becomes an on-ramp to conversations with yourself, God, and trusted others in reviewing your past, assessing your present and continuing to joyfully and courageously walk with God into your future. The goal is to help you recognize and respond to God in the midst of your story. 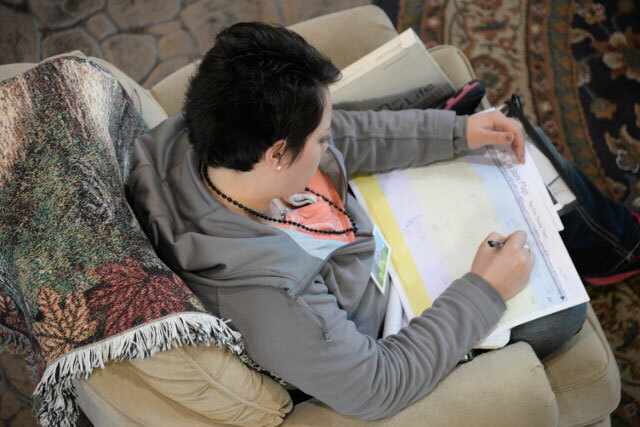 "What at first glance looked like a study has instead become a lifestyle. 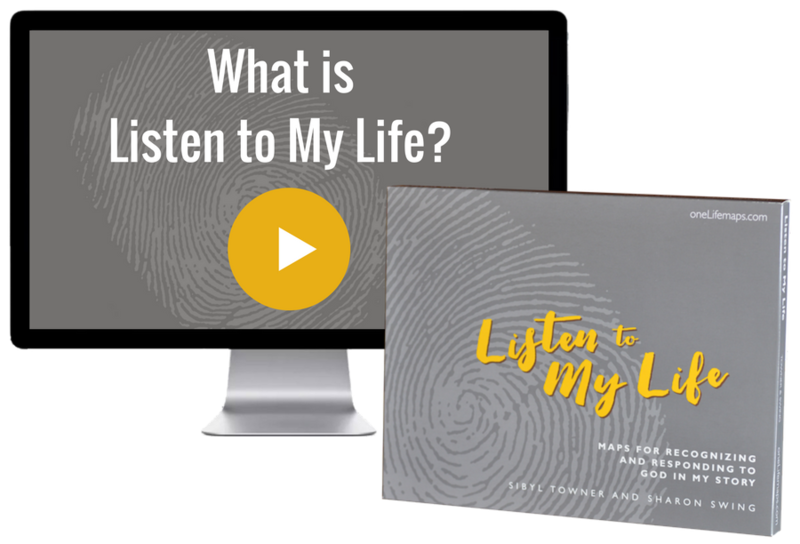 Through 'Listen to My Life,' I have discovered the Lord’s fingerprints in my life and the unique ways He can use me in this world. 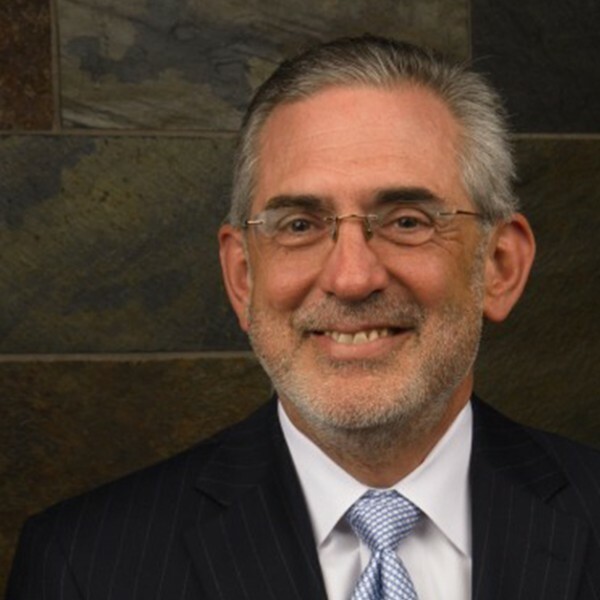 The study has given me both the tools and the confidence to look at my life – past, present and future – with renewed hope and expectation, believing now more than ever that He has a great, irreplaceable purpose for me. Listen to My Life beautifully weaved together for me the joy and reality of knowing Christ and how being in tune with His work can lead me to great adventures. 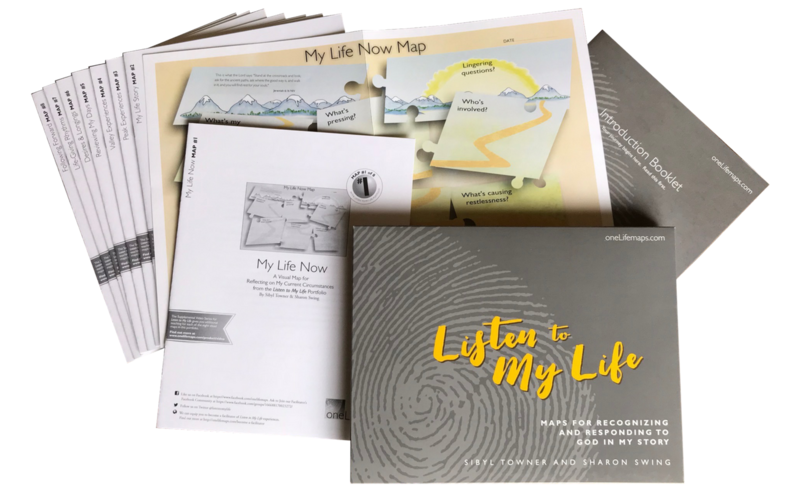 Order your Listen to My Life portfolio now to get started on your life-mapping adventure! As you engage in this process, you’ll have the tools you need to experience spiritual growth, clarity and gain courage for meaningful action. The Introduction Booklet provides an overview of the process, a description of who might benefit from engaging in it, along with information on the way we help people listen to one another’s stories. 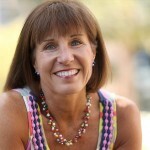 There may be a Listen to My Life facilitator near you! 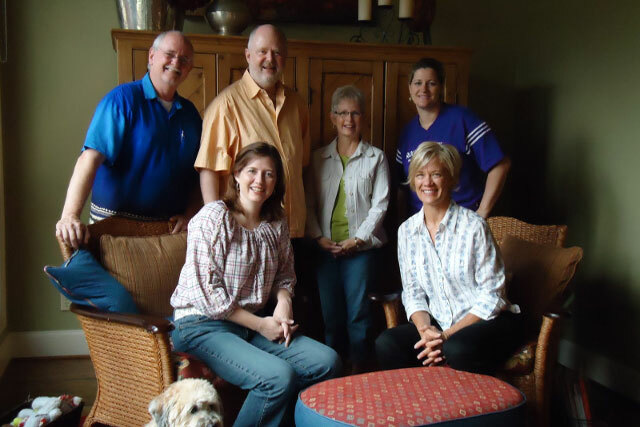 We’ve got a knowledgable and passionate team of people to help you in your journey. 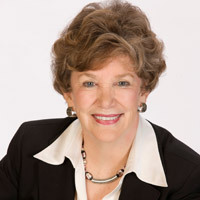 Browse our list of facilitators. We’ll help you get connected. You can become equipped to facilitate Listen to My Life experiences and get a front-row seat to witness life-change of others. Find out more about all the ways we can help you get started. We’re here to help you get started. Just ask for what you need! 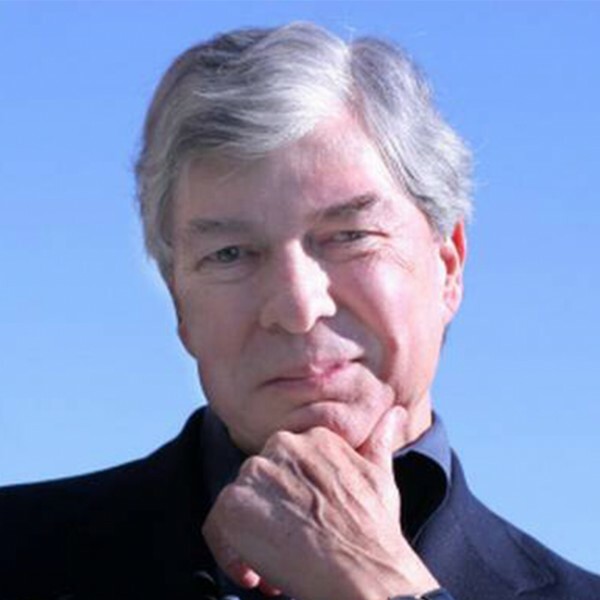 If you are planning an event, or would like us to come kick-off your Listen to My Lifeexperience, we’d love to join you! Just tell us a bit about what you have in mind. Come join is for a Listen to My Life workshop to experience the process for yourself along with others. Read, Browse or receive notifications when we post oneLife Letters, our blog that shares stories of people who are learning the adventure of recognizing and responding to God in their every day stories.